I have bought a used Rotax 912uls that has the skydrive carb heat kit installed. I would assume that in the UK this kit requires a formal modification for the Europa but I can't find one anywhere. The Kit moves the carburetors back by about 15mm so not sure they will fit anyway? 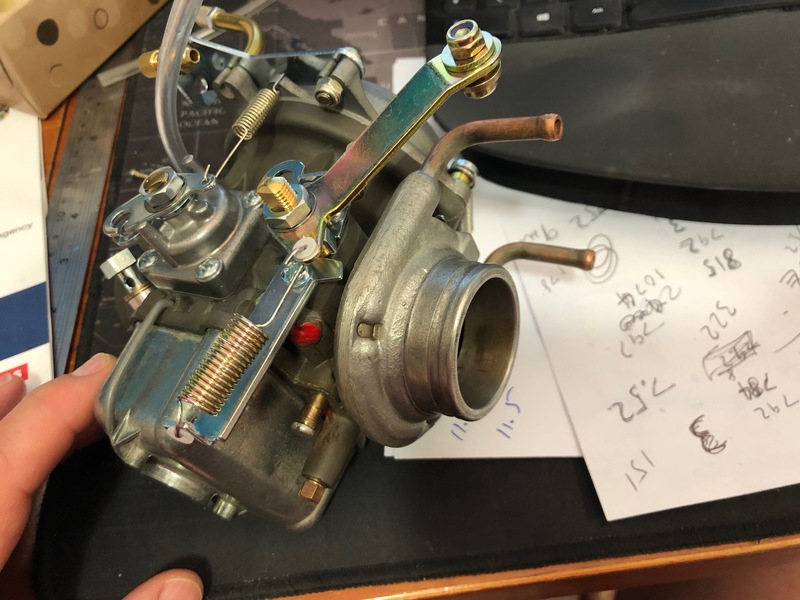 Anyone any experience of this kit in the UK on the Europa or do I need to by new carburetors as I see no easy way to remove the kit once it is fitted? This kit is very common in the UK and I would guess that more than half of all Europas have it fitted. In my case I simply got my inspector to sign in the log book that I had fitted it correctly. It seems to me that an inspector's signature would keep the LAA happy and probably whoever you bought the engine from got such an endorsement. In order to accommodate the extra 15 mm or so which the kit necessitates, I cut the equivalent length off the hoses and/or spigots of the air intake filter box. But why did I decide to install the carb heat kit at all? Carb ice is rare in Rotax 912 engines as fitted to Europas, but it happened once to one of my syndicate group members after a very long time at 2000 rpm idle on the ground, while he was waiting at the runway threshold holding point. Conditions were ideal for icing, being a chilly day with near 100% relative humidity and quite low rpm. If he had lined up and commenced his take off run slightly earlier, he might have experienced the engine cut shortly after take off rather than at the threshold. This incident which I witnessed was enough to provoke me into buying and fitting the Skydrive kit without delay. Even though it keeps the carburettor bodies permanently warmed, the engine power doesn't seem to have been significantly affected. I think there is a LAA standard mod and listed on The Europa club website, try SM10427/1 91X series Carburettor Heater (water). This kit is very common in the UK and I would guess that more than half of all Europas have it fitted. In my case I simply got my inspector to sign in the log book that I had fitted it correctly. It seems to me that your inspector's signature would keep the LAA happy and probably whoever you bought the engine from got such an endorsement. Carb ice is rare in Rotax 912 engines as fitted to Europas, but it happened once to one of my syndicate group members after a very long time at 2000 rpm idle on the ground, while he was waiting at the runway threshold holding point. Conditions were ideal for icing, being a chilly day with near 100% relative humidity and quite low rpm. If he had lined up and commenced his take off run slightly earlier, he might have experienced the the engine cut shortly after take off rather than at the threshold. The Skydrive kit is covered by Rotax Standard Mod SM10427 as stated earlier. That is good news, Thank you for your responses.